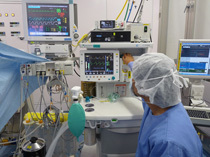 We have the document of Information on Anesthesia, Health Information to be filled, and Anesthesia Consent form. Please see the following documents. If there is something you don’t understand or is not clear, please do not hesitate to ask us. Your corporation is highly appreciated. Doctor Patient confidentiality is strictly protected. Safe Surgery Saves Lives by World Alliance for Patient Safety.